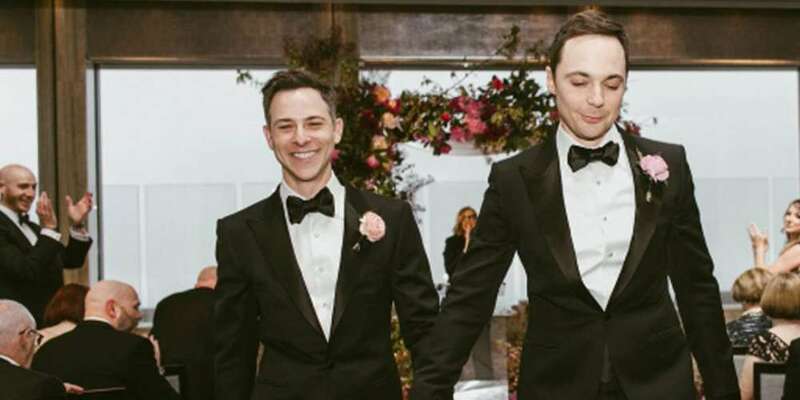 On Saturday night, openly gay 44-year-old actor Jim Parsons married Todd Spiewak, his partner of 14 years, at New York City’s Rainbow Room, a restaurant and dance floor located on the 65th floor of Rockerfeller Center. Parsons first mentioned his relationship with Spiewak in 2010 during his coming out interview with The New York Times. He didn’t mention his partner by name at the time, but three years later, Parsons appeared alongside Spiewak on the red carpet of an award ceremony hosted by the Gay, Lesbian and Straight Education Network (GLSEN). At that ceremony, both men were given the Inspiration Award. 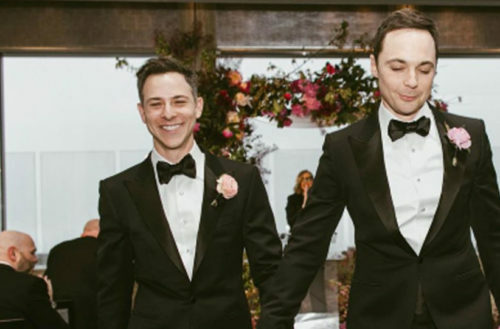 Parson’s wedding came on the heels of the Season 10 finale of CBS’ ongoing geek sitcom Big Bang Theory, a show where Parson plays a Sheldon Cooper, a senior theoretical physicist at the California Institute of Technology who has a genius level IQ and almost no social skills. In the finale, Cooper proposes to his longtime girlfriend, though whether she accepts or not has been left as a cliffhanger until Season 11.